Compaq Computers are an American brand which were market leaders and which are now owned by HP. Compaq are very well respected and are known for producing high quality computers - Compaq Laptops, Compaq PCs and Compaq All in one computers are all highly regarded. Please note that Kevin of A&A Computers is Compaq Certified; Compaq Computer Engineer - Wellington. Compaq computers have always been well made - high quality and have few common faults. Compaq laptops tend to cut out (Compaq laptops power down - Compaq laptops switch off) when they are a few years old. This is usually due to overheating issues which is often caused by a build up of dust and fluff in the Compaq laptop extractor vents and the Compaq laptop cooling fan. Repairing Compaq laptop overheating issues involves disassembling the laptop and cleaning out the vents and fan. It is also advisable to remove the Compaq laptop processor radiator, remove all heat compound and apply new (high quality) heat compound. Obviously, if the CPU cooling fan is faulty, the Compaq laptop should not be used until repaired. 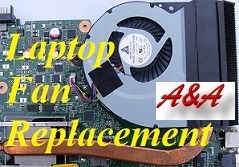 Compaq Laptop Cooling Fan Repair Options include Wellington Telford Laptop Fan Repair. Compaq laptops can also suffer from power socket damage. This is usually caused by leaving the power lead connected when the Compaq laptop is rested on knees or on a bed. Pressure on the power lead can cause damage to the power socket or to the power socket motherboard connections (sockets are often soldered to the motherboard). In some cases, this fault can also cause power to be re-routed through the motherboard, causing component failure and requiring a new motherboard. 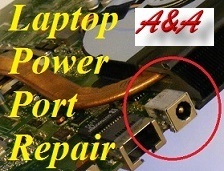 Compaq Laptop Power Socket Repair Options include Wellington Telford Laptop Charging Socket Repair. Please note; we do not charge if the Compaq Computer cannot be repaired. Older Full size Compaq tower computers often suffer from power supply issues, whereby the Compaq Tower computer fails to power up or to start when the computer is switched on. Please note that we stock and fit most types of power supply units to fit Compaq tower PCs. If we do not have the correct PSU (Power Supply Unit) in stock we can usually order and fit within 24 to 48 hours. If the Compaq laptop, tower PC, mini PC or All in One computer uses a standard hard disk drive it will eventually fail. Please note; if the Compaq computer HDD is making a clicking noise, this is usually a sign that the Compaq computer hard disk drive is about to fail. The only solution is to replace the faulty Compaq hard disk drive. However SSD (Solid State Drives) are far superior to hard disk drives but their capacity is currently lower. Replacing the faulty Compaq HDD with SSD is often the best course of action as this will usually greatly improve the Compaq computers performance (often doubling the speed), whilst reducing noise, reducing heat and reducing power use (SSD units have no moving parts). With respect to Compaq Computers, the Overseas Compaq Computer Repair service can often be be described as terrible. We are often contacted by UK owners of faulty Compaq PCs and faulty UK Compaq laptop computers who have spoken to the Compaq Indian call centers and discovered them to be inept and the service inadequate. We do not handle Compaq UK warranty repairs. We are based in Wellington. 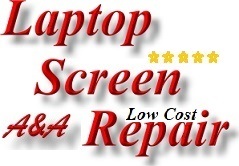 We repair out of warranty faulty Compaq UK laptop computers and we repair out of warranty Compaq UK PCs. 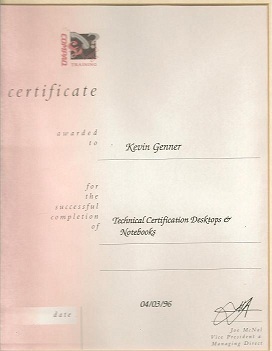 Our owner (Kevin) is a fully qualified - Compaq UK certified computer engineer. 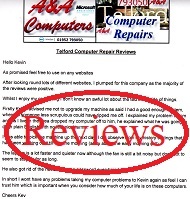 For this reason, Kevin usually deals with Compaq issues and personally repairs Compaq Netbooks, Compaq Notebooks and Compaq PCs. A&A Wellington Telford Computer Repair offer fast computer support in Wellington for issues with Compaq Laptops, Compaq PCs and Compaq Netbooks. Additionally; we are Wellington Telford Based Microsoft Partners and can support Microsoft products including Windows 10, Windows 8.1, Windows 8, Windows 7, Windows Vista or Windows XP. We will typically be able to advise on many problems over the phone (We are based in Wellington). If we need to see the faulty Compaq computer, A&A Wellington Telford Computer Repair can fix the Compaq Tower PC or repair the Compaq laptop at the address in Wellington Telford, or A&A Wellington Telford Computer Repair collect the Compaq computer from the address in Wellington or the client can deliver the system to us (we are based in Wellington, Telford). (Compaq model) and a description of the problem. 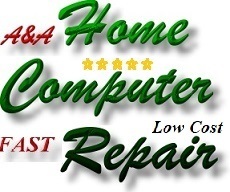 Most Compaq computer repairs are completed within 24 to 48 hours. We provide Compaq Computer Repair in most local areas and can collect from - return to; Wellington Telford, Admaston, Apley, Leegomery, Ketley, Arleston, Overdale, Wrockwardine, High Ercall, Little Wenlock, Allscott and other areas around Wellington, Telford. 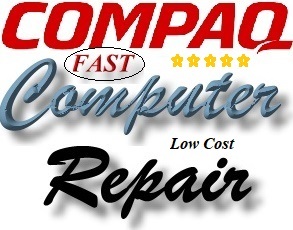 If your Compaq computer is slow, if your Compaq computer is noisy, if your Compaq computer cannot connect to the internet, if your Compaq computer has a virus; A&A Wellington Telford Computer Repair help. 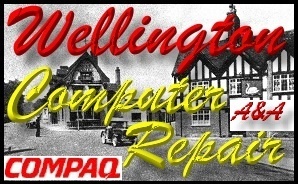 A&A Wellington Telford Computer Repair specialise in removing Compaq Laptops, Compaq Netbooks and Compaq Desktop and Tower PCs without losing any data. We will then usually be able to fully re-install Windows with the correct drivers etc or restore the Compaq PC, Compaq laptop or Compaq Netbook hard drive back to its original (out - of box) condition - usually; even if you have lost or never created your Windows disks or recovery Disks. This is because we maintain a massive database of full - original Compaq recovery disks and Compaq drivers. The point is; we almost certainly have the correct software to allow us to successfully - completely repair your Compaq Computer and we are based in Wellington. 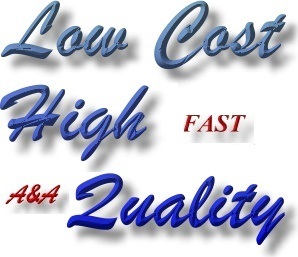 We also remove viruses from Compaq Tower PC, Compaq Desktop PC, Compaq laptop or Compaq netbook computer. In the vast majority of cases, A&A Wellington Telford Computer Repair retrieve customers data such as photos, documents and even music and video from failed Acer computers. We remove the hard disk drive and fit it to another computer, we kill any viruses and then copy the data to the 2nd machine. Only then do we start working on the faulty computer. Because the data has been backed up - it is safe. 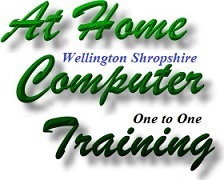 If a Acer computer is Beyond Economical Repair, A&A Wellington Telford Computer Repair usually save your data to DVDs, USB drive or to a different computer. 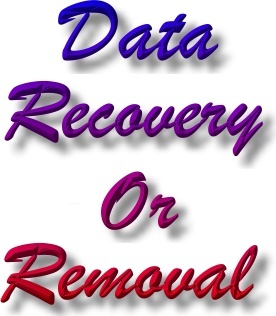 A&A Wellington Telford Computer Repair then completely destroy all data on the faulty hard drive.